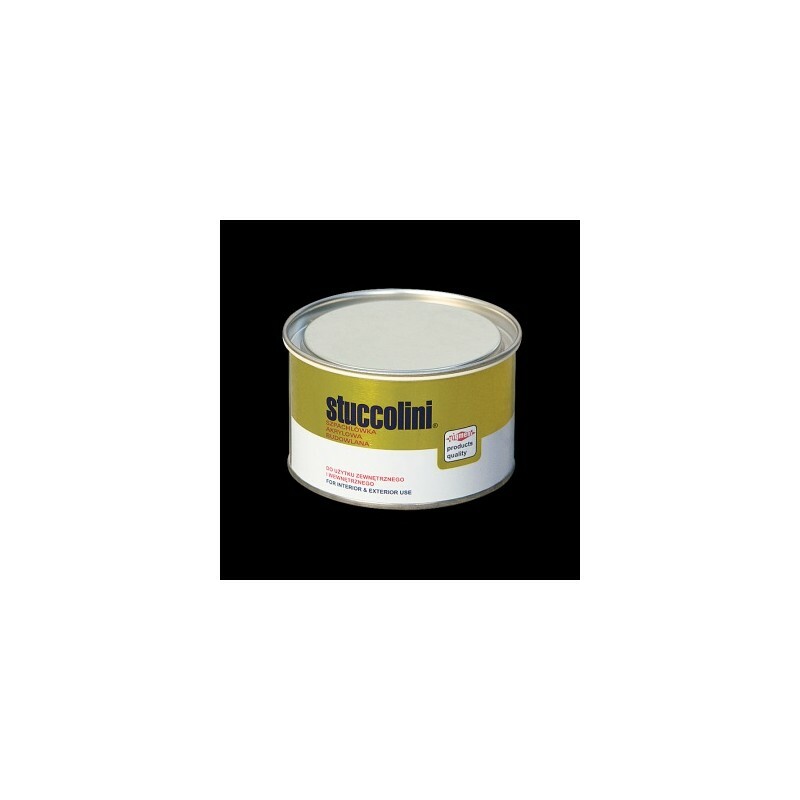 STUCCOLINI Acrylic Putty is a high quality filling material for filling concrete, plaster, wood, plasterboard and even metal surfaces, after coating them against corrosion. STUCCOLINI is intended for interior and exterior use. It spreads over the surface with great ease. It binds fast, has good grindability, can be sanded after a few hours from application without clogging the sandpaper. It gives a good grip for all types of paints. It does not crack either in a thin layer or a thick layer. 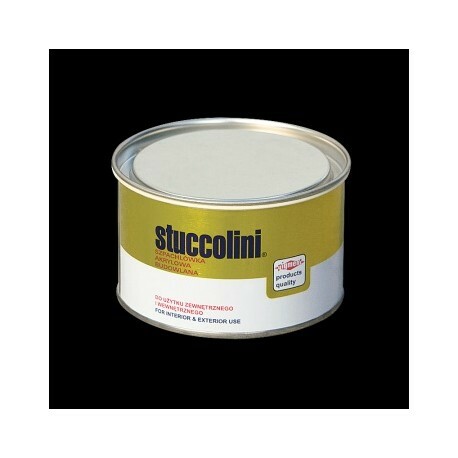 Depending on the surface roughness 1 kg Stuccolini is sufficient to cover at least 3 m2.